URL – this is the URL to open; you must provide a scheme for this component to always work correctly (for example “http://”). 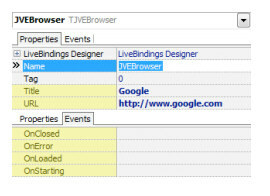 Title – the title to give the browser dialog. OnStarting – occurs before a page begins to load (for example when clicking a link). You can use it to check the URL and decide whether the click should be allowed or ignored or even if the browser should be closed. OnLoaded – occurs when the page was successfully loaded. OnError – occurs on loading errors. Default behavior is to present an error and close the browser. 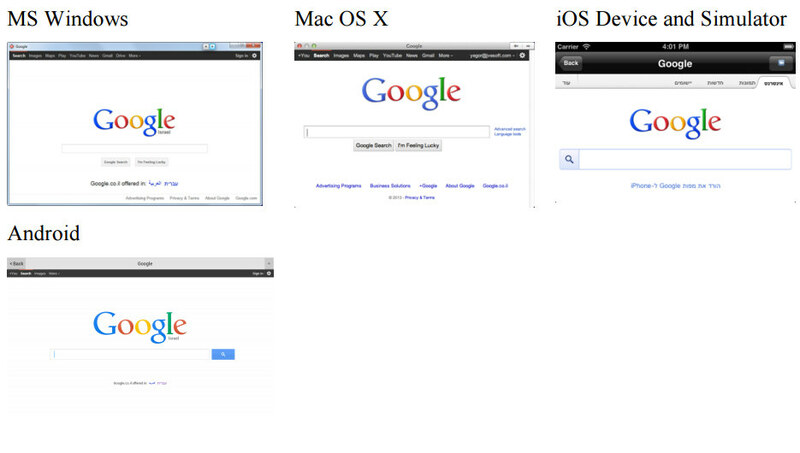 OnClosed – occurs when the browser was closed (by the user or via OnStarting). The methods available in this component are: Open, Close and IsOpen (pretty self explanatory) and OpenURL(URL,Title) – convenience class procedure, which constructs TJVEBrowser, presents it and frees it, after the user closed it.